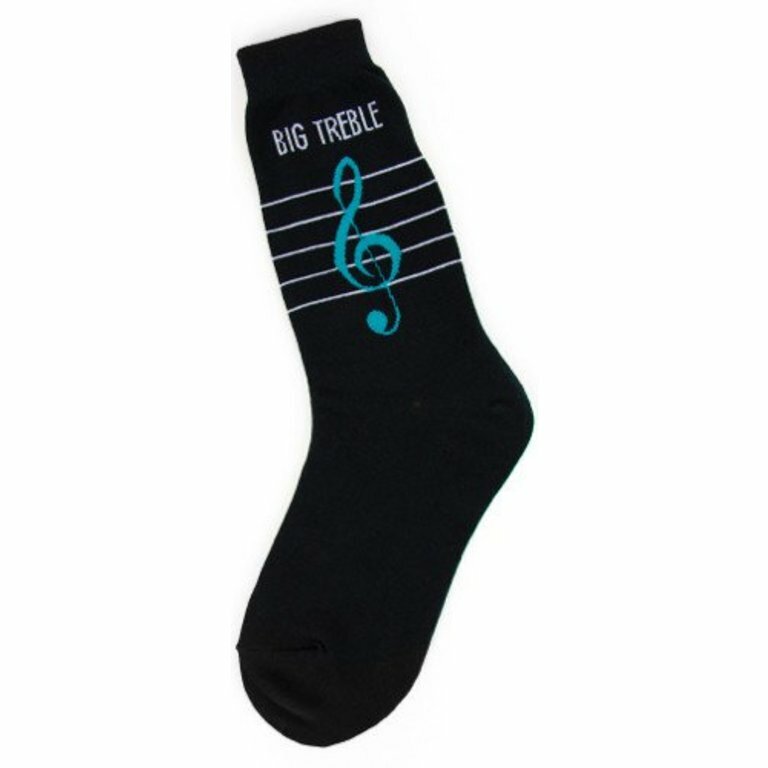 This black sock has a white music staff and blue treble clef with the phrase, "Big Treble" above it. Clever, huh?! Great gift for symphony goers and music enthusiasts.